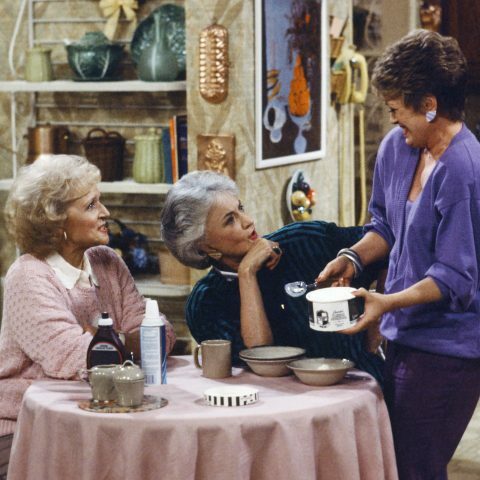 Sometimes, everyday life can get to be tough! Whether the stress of a job eating away at you, the struggle of raising children, or family issues that are better left unsaid, everyone needs a break from time to time! Trust me! I’ve definitely been there! 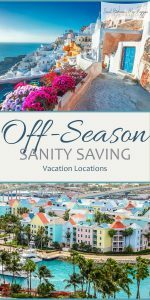 The urge to go on vacation can strike at any time, so it’s best to always be prepared with knowledge of the best offseason vacation locations! Just because it’s the middle of November doesn’t necessarily mean it’s the wrong time to seek solace in Lake Tahoe! Check out all of these offseason vacation ideas! Looking to avoid crowds and save serious money on the cost of a hotel? 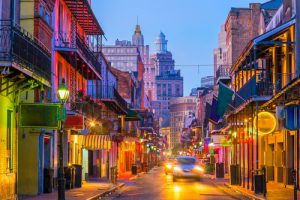 Head to New Orleans in the wintertime! Though the city does get exceptionally busy during the week after Christmas (they celebrate a holiday called Shrove Tuesday) it’s relatively low-key in January and February. While visiting, head to the Garden District to see the gorgeous mansions and head to Bourbon Street for great nightlife! New Orleans is full of history, which makes it the perfect place to head for an offseason vacation! 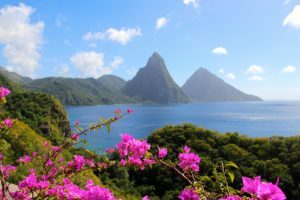 Though St. Lucia is crazy busy during December-April, so it’s better to head to the island during the offseason of June-November. However, travelers should be warned that during the June-November months, hurricanes are more likely to develop in the area. But the deals you’ll get on flying and hotels (plus all of the DESERTED beaches) may convince you to just go for it. Fortunately, temperatures stay about the same all year long, so it’s always a great time to visit the island! Though I’ve never been, visiting Greece has been atop my bucket list for as long as I can remember. Perhaps later in the year when I’m looking for offseason vacation ideas, I can convince my husband to take me to Greece! Visit the Greek islands in March for dramatically lower hotel costs–seriously, they drop by 40 percent sometimes! 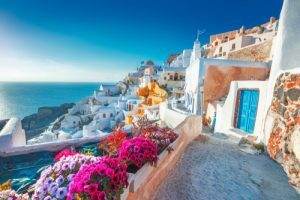 Depending on the islands you choose to explore, I hear that Santorini and Mykonos are not to be missed! Who doesn’t dream of the Bahamas when feeling stressed? I know that I do! For offseason travel (and those epic low fares!) 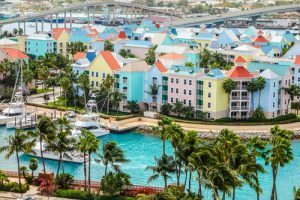 head to the Bahamas during the Autumn season. Not only will you likely score some private beach time but if you visit in the autumn you’ll miss hurricane season as well! Now that is a win-win! San Francisco is known for being exceptionally cold pretty much all times of the year. 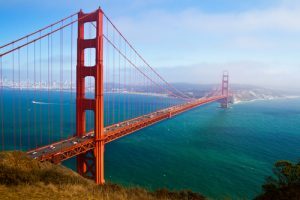 If you’re dying to soak up some California rays, visit San Francisco in September-November. The summer crowds will be long gone at this point and you can enjoy the (kind of) warm weather at a bayside beach. Visiting Alcatraz should be on the to-do list for all visitors but those interested should plan their Alcatraz tour months in advance. I learned during my first visit there that they sell out quickly. San Francisco is one of my favorite offseason vacation ideas! Looking for some solace in the winter? You may find it in Cape Cod! Visit the area in October and November for a relaxing weekend spent hiking and biking around the city. There are a plethora of stunning lighthouses down the coastline and I like to make it a point to visit a few of them when vacationing in the area. I’ve also heard that the Wellfleet Oysterfest cannot be missed! 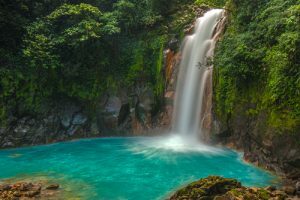 Known for it’s crystal clear waterfalls and white sandy beaches, Costa Rica is an absolutely incredible vacation destination. Visit Costa Rica in September-October to take advantage of great weather (on the Caribbean side of the country) and low prices. Monteverde is a must-see location if you like to hike and explore or head Hermosa Beach for a relaxing afternoon lounge session.